Ricky Gervais & Stephen Merchant's "The Golden Years"
This is Merchant and Gervais' first TV project, "The Golden Years." Not the show with the bickering elderly women... a very clear precedent of The Office, in which Gervais plays a boorish businessman, desperate for reality show fame. 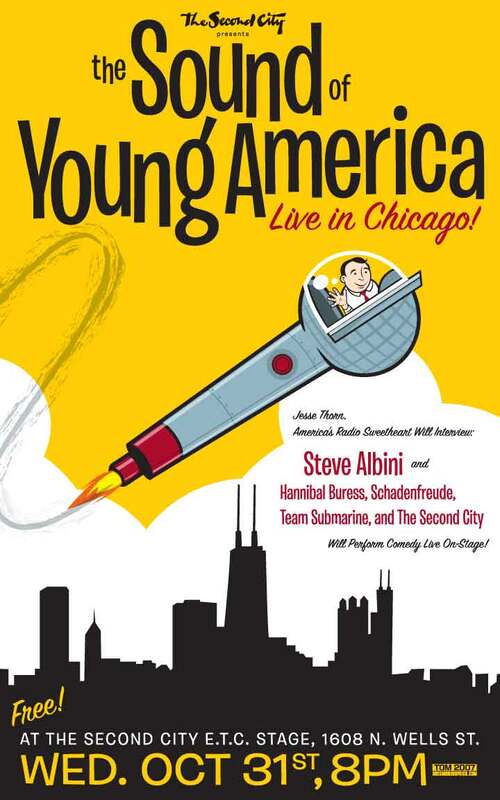 I don't go around attaching The Sound of Young America name to any comedy show, just the good 'uns. If you're in Chicago, don't miss Brent Weinbach and Jen Kirkman at the Lakeshore Theater Saturday night. Two MaxFun veterans and two HILARIOUS comics. Brent will blow your mind and Jen will win your heart. Podcast: Simon Rich, author of "Ant Farm & Other Desperate Situations"
At the age of 22, Simon Rich published his first compilation of humor writing, the hilarious "Ant Farm & Other Desperate Situations." 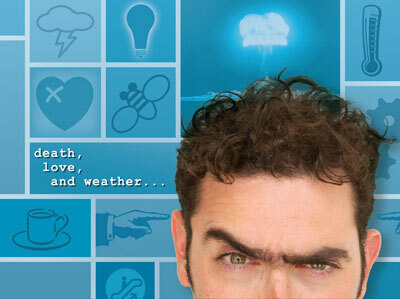 He's a former editor of the Harvard Lampoon and a current writer for Saturday Night Live. We interview Simon and hear him read several pieces from his book. The secret history of Ape Lad's grandfather Alouitious Koford's Laugh-Out-Loud Catson BoingBoing TV. Garfield Creator Jim Davis looks pretty familiar. Podcast: TSOYA Classic: The Del Close Marathon. On this week's show The Del Close Marathon, Ian Roberts from the Upright Citizen’s Brigade and Anthony King of the UCB Theater join us to talk about the marathon which took place in memory of the legendary comedian. Jeff Griggs, author of “Guru: My Days with Del Close”. 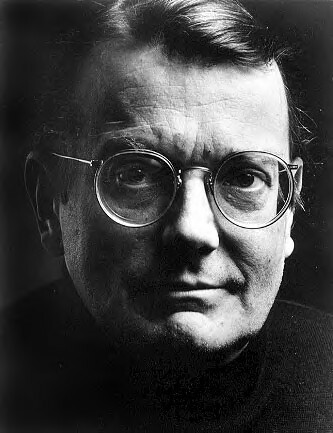 For over 30 years Del Close was the leading light in improvisational comedy in Chicago, having a huge influence on Mike Meyers, Bill Murray, John Belushi and the Upright Citizen’s Brigade, among many others. 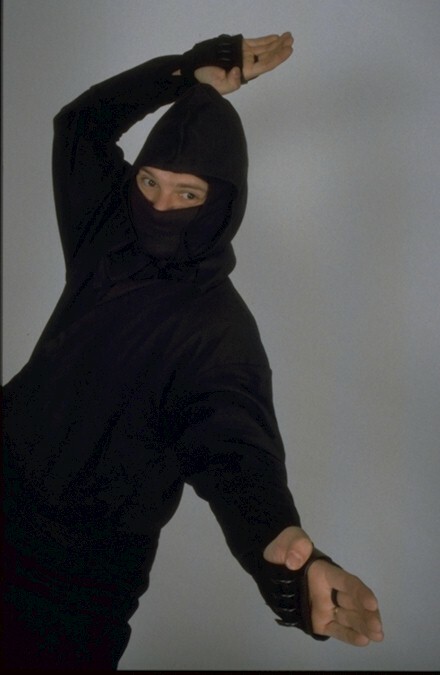 Following Del’s passing in 1999, the UCB started the annual Del Close Marathon as a means of celebrating their mentor’s life, and passing on his legacy to future generations. Ian Roberts and Anthony King from the UCB talk about the event. Jeff Griggs’ book “Guru: My Days with Del Close” explores elements of Close’s biography, from his childhood in Kansas, his early years as an actor to his involvement with the Compass Players and Second City. Tim Heidecker and Eric Wareheim -- known collectively as Tim & Eric -- are the creators of the Cartoon Network [adult swim] series "Tom Goes to the Mayor" and "Tim & Eric, Awesome Show, Great Job!" Their bizarre humor hinges on uncomfortable social relationships and industrial-film aesthetics. Here's a little comic pallette cleanser after three weeks of hefty shows. Bryan Coffee performs "Shrimp," from his one man show The Weekly Armenian. The Sound of Young America: "Shrimp"
A clash of the titans, as MaxFunsters John Hodgman and Xeni Jardin do battle on the field of ideas. "Aristotle believed that Mole Men were generated spontaneously from dirt and dung."